Silver chromate precipitate, 1 of 5. 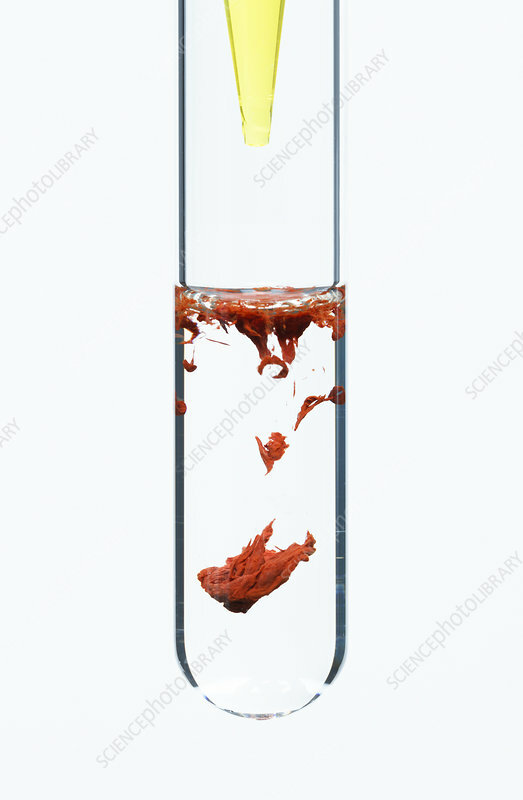 This series shows a progression as potassium chromate (K2CrO4) is added drop by drop to a test tube containing silver nitrate (AgNO3). Both solutions are 0.25 M concentration. Silver chromate (Ag2CrO4) precipitate (bright red) is formed as a result: K2CrO4 + AgNO3 -> Ag2CrO4 + KNO3. This is an example of a double displacement reaction.